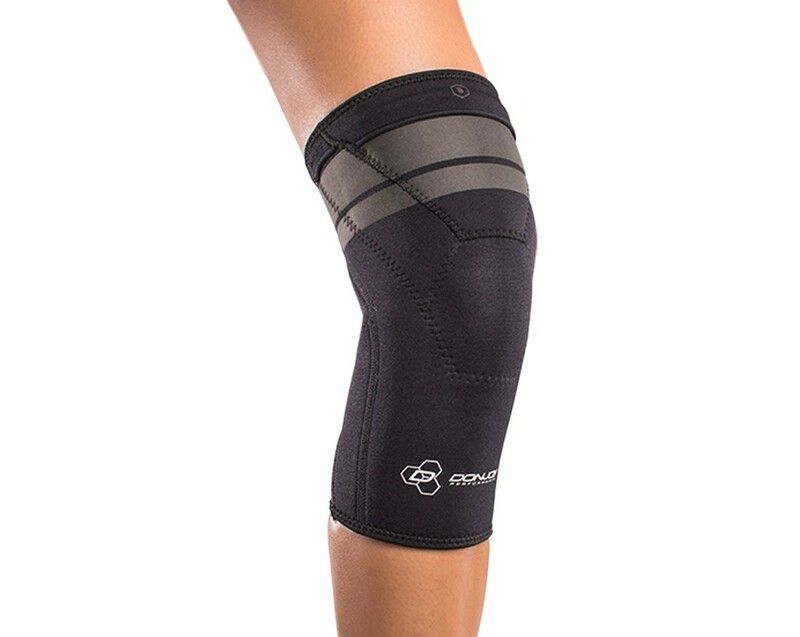 Our DONJOY Performance Proform 2mm Knee Sleeve delivers fit and function. Closed Patella design offers maximum heat retention while asymmetrical hem lines allow for comfort and free range of motion. Ideal for overuse injuries, the 2mm knee sleeve features a unique material set which combines neoprene for thermal compression and lycra for reduced weight. View all DonJoy Performance products or our full selection of knee sleeves. I swim in public pools and in ocean does your product resist chlorine and salt? I live in Montreal Quebec /Canada how long does it take to ship to Canada and what's your shipping cost. I have trimmed menisci and ACL grafts in both knees, with a touch of arthritis in one. Knees work fine, but ache, and I'm looking for a little something to wear while skiing (easy). I realize something like this won't prevent another injury in the case of a bad fall, but mentally I feel like I ought to be wearing *something*. And maybe a touch of support and warmth might be helpful. Also looking at the 4mm version. The Don Joy Performance ProForm 2mm Knee Sleeve will provide compression for the knee. The only difference between this and the 4mm is the thickness of the neoprene. they will both provide that compression. Will this fit under a custom ACL brace or would lycra be better? Does the brace bunch up in the back of the knee? I'm looking for a sleeve to wear underneath a bigger brace (one from an ACL tear) can I wear this under tells brace or is this too thick? We have two different under sleeves to choose from. The Lycra or Neoprene. I plan to use this knee sleeve when I go swimming in the Pool. Is it Ok to get in water with this on? Would this be good for cycling or would the4mm patella one be better? Is this brace used for swimming laps? Yes this brace would be great for swimming. It is a neoprene based material so it is good for use in the water.